The Inca Trail is a unique experience but, in turn, requires a lot of effort. That is why those who complete it relate a series of sensations among which are the joy, satisfaction and emotion without equal for having traveled the mythical path and finally reach the mysterious citadel of Machu Picchu . But as we have said, it is not an easy adventure. Of course, given that we will have to fight against height, fatigue, climate and terrain. That is why those who decide to launch to conquer the Inca Trail , must first take into account a series of details to organize the trip . Preparations that have to do with the organization of the trip and the elements to take to make this, the best experience. The time of year to carry out the Camino del Inca is not a minor issue. Is that the rains can become a stumbling block and, sometimes, a danger due to fear of avalanches. Thus, the Camino is open all year round, except in February, when the rainfall is too strong and closes for maintenance. In this way, the best months, which in turn are the coldest and drier, are June, July and August. Although they are also the ones with the most demand. For this reason, another option is to carry out the adventure before or after the rainy season , that is, from March to May or from September to November. But, there is no doubt, that between May and October is the best time to start walking the Camino del Inca. 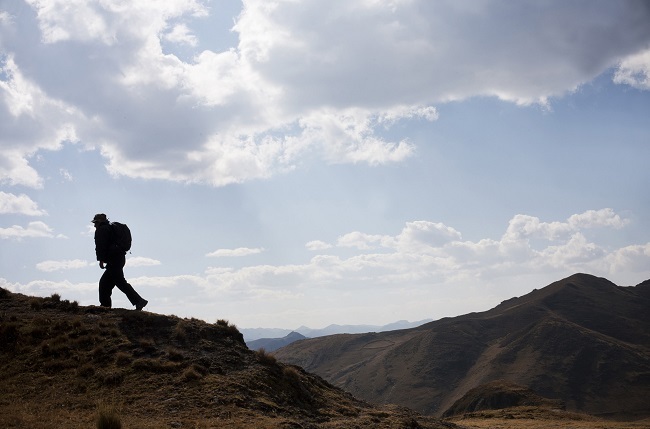 The Inca Trail can not be done on its own , since it is mandatory that hikers are accompanied by guides authorized by the Ministry of Culture of Cusco , which is the body that manages and regulates the Camino. In this way, only some agencies have the necessary authorization for access, therefore it will be necessary to choose those that have the proper permission and, from there, to evaluate other aspects. Which? The price and what they offer. What should we ask and find out? Among other things, the size of the groups, the type of transport, if it includes shops, food, cook, entrance to Machu Picchu and return ticket by train. In addition, it should be noted that the entrance to the Camino is restricted to 500 people per day . That is the reason why we will have to organize everything with much anticipation. At least 4 or 5 months before. The agencies will be responsible for occupying the quotas, given that each one has a limited number of permits. This is a tip for all those who wish to enjoy the Camino conscientiously. Of course, knowing what that path is, where it leads and what its meaning is. Consult maps, guides and, why not, history books will interpenetrate even more in the trip. A trip that, once there, will make you float in an atmosphere full of stories, mysteries and palpating very closely the richness of the Inca culture. Once all the above is organized, it will be good to choose the route to be made . The operators will offer them and, each traveler, will make the choice according to their desire, their times and, why not, their physical condition. Walk, walk and walk. While it is a trekking of moderate difficulty, the worst enemy is height. Therefore, the only thing that can be done in advance is to walk between 5 and 10 kilometers to find out what state each one is in. Also, before leaving, do a general medical check-up. Another recommendation is to try to arrive a couple of days before the city of Cuzco to try to acclimatize to the altitude . Find out, in the first place, what the operator that will accompany the travelers on the trip will take, to avoid loading the backpack with elements that will not be needed. The essentials are: trekking poles, sun hat, comfortable shoes, waterproof coat, sunscreen, mosquito repellent, sunglasses, long pants, warm clothing, plastic bag to keep everything that has been wet, money, passport original and photocopy, flashlight, toilet paper and water bottle.